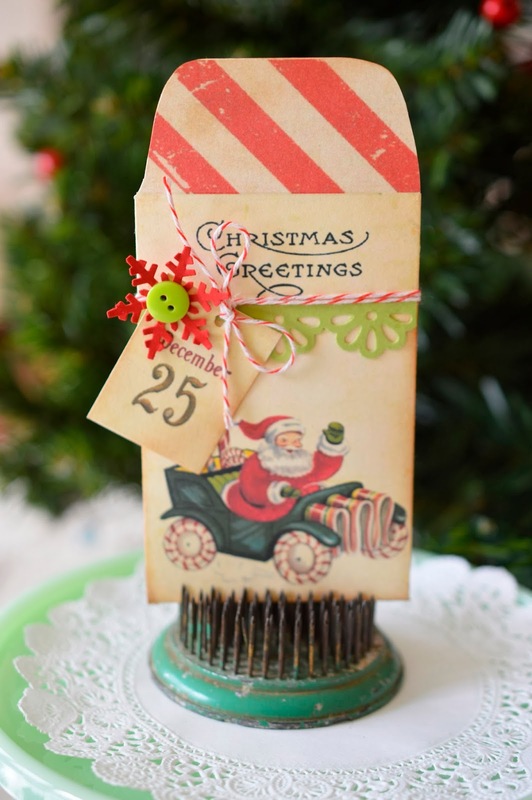 How about making a standing decoration card for a change? 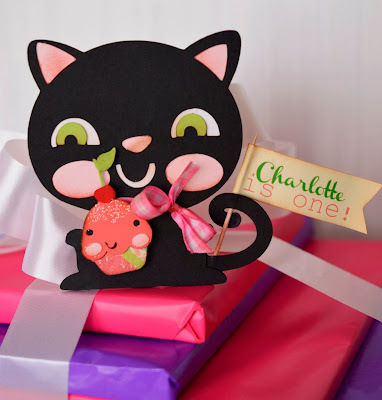 I love this idea for a child's birthday - Charlotte can display hers for a whole year! Charlotte got a black cat for her first birthday, because she is fascinated by my sweet black kitty. When I keep her she loves to follow him around. The funniest thing is when he sneezes (which seems to be fairly often), she gives a little jump and then let's loose with a huge belly laugh! For Charlotte's black cat, I enlarged the cut file for each layer 110% and for the cupcake reduced it to 50%. I used a stick on easel so the cat would stand up and be sturdy. I just bought this photo easel die by Lifestyle Crafts so the stand can match in color. What will you be doing for New Year's? We have an event here in OKC called "Opening Night" with bands and kid activities and fireworks. But with the weather being in the 20s and having to go to work on Thursday, I will probably be sound asleep! Here is wishing you the best for 2014! Here we are on Christmas Eve Eve or better known as December 23rd! I think I'm pretty much ready. We do a Christmas morning breakfast and this year we're having waffles. I love waffles - I even love them for dinner! All the Christmas china is out and the table and buffet have been decorated. I can't wait! I wanted to be sure to get some thank you cards ready to go this year. 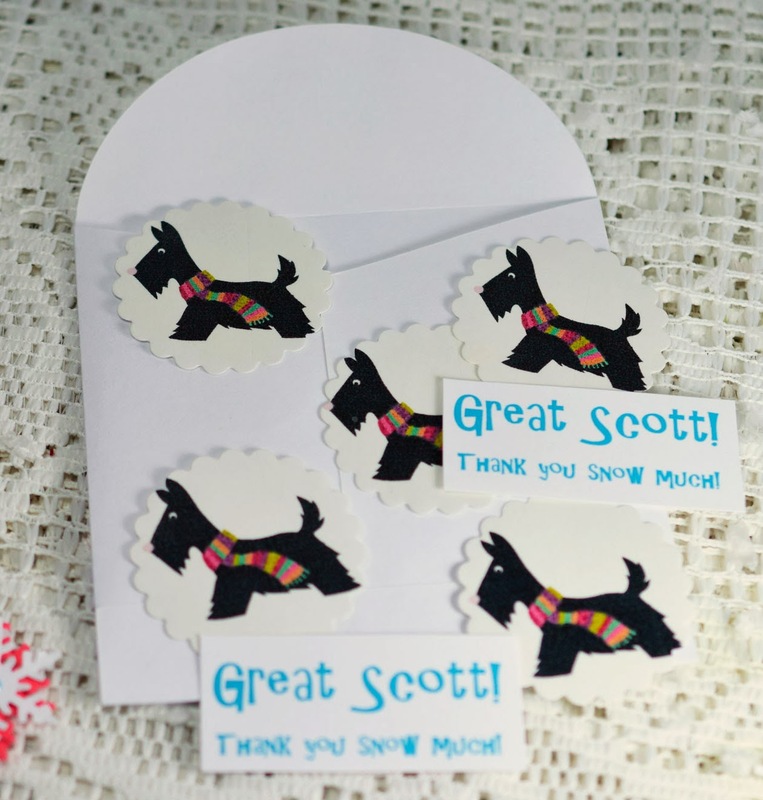 I came across the Great Scott It's Cold file at Lettering Delights and I think the scotties and snowmen are adorable! 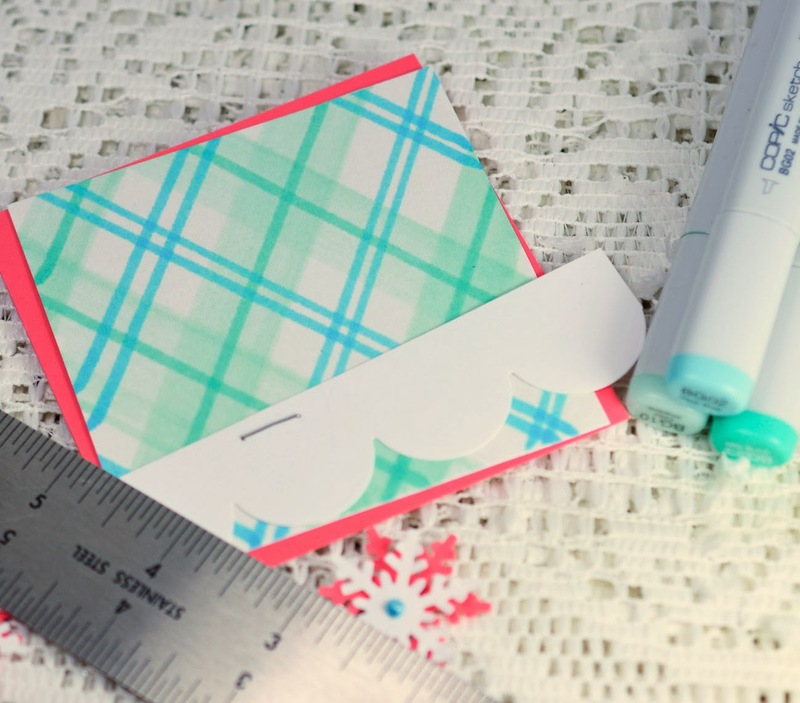 Making your own plaid background is very easy. It doesn't even have to be perfect - so relax! I do have some tips for you. Create the thickest diagonals first. These are about 3/4 of an inch. What I do is use the ruler to create two outside lines and then fill in with color. I just eyeball placing them about 3/4 of an inch apart. Then I've got a double line right in the middle of the white space. And a single line on top of the lightest. This is one of the simplest plaids and I think it looks really nice! I put these together in an assembly line method. Drew all the plaid squares and cut out all the pieces. I also printed scotties on sticker paper and die cut them with a scallop circle for envelope seals. 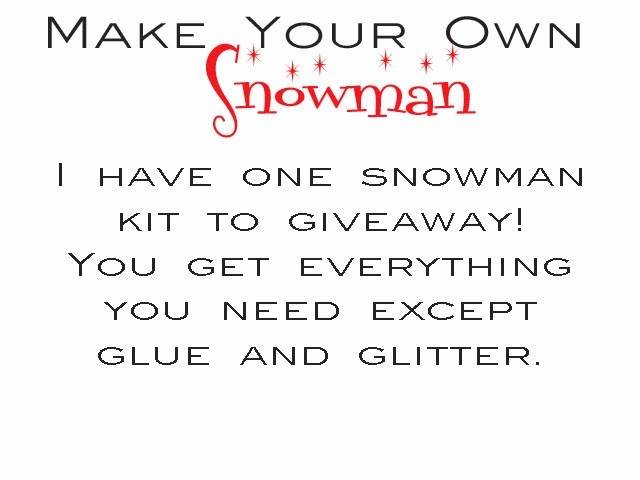 Now for the Snowman Kit Winner! 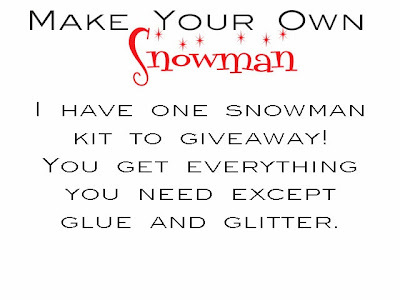 Kathy, email me (email address in sidebar) and I will ship your snowman kit to you right after Christmas! 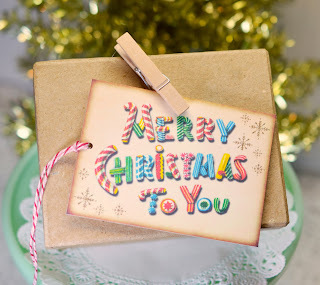 Here is wishing all of you a wonderful Christmas! I fell in love with the cups! That's my only excuse for buying something that most people threw away. 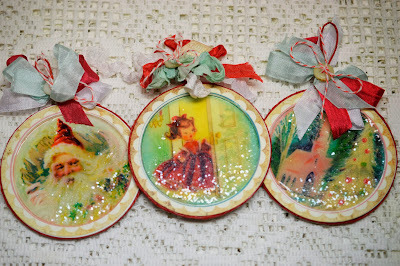 They are waxy and oh, so cute! I just knew I would find SOMETHING to do with them. 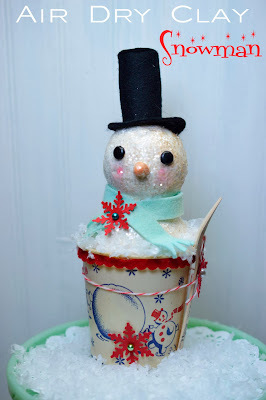 As you can see, I did find something - an oh, so sweet snowman! What a fun project - and so much easier than I thought it would be. You need a couple of styrofoam balls - one slightly larger. It's nice if the bottom one pretty much fills the diameter of the cup. (Mine are 2" and 2 1/2".) A skewer is a great idea. 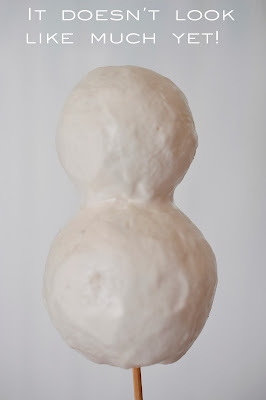 It gives you something to hold on to while you're creating the snowman. There is a lot of brands of air dry clay. This is fairly reasonable and worked really well. 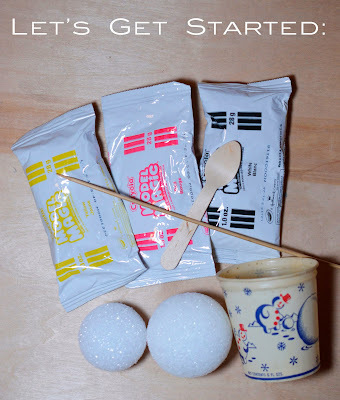 You need white air dry clay and then in addition, a little yellow and red to create the nose. The first step is to create the body of the snowman. Let him dry for a little while. 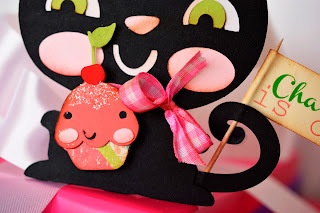 Add pink cheeks with ink, chalk, or marker. Paint with liquid glue and sprinkle with course glitter. (To age him, I put a couple of drops of walnut ink in water and spritzed him with it.) Let him dry again. 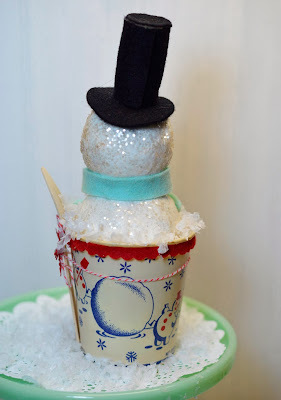 Once you have all that done, cut off the skewer so that you have just enough left for the snowman to sit at the level you want in the cup. I put a square of styrofoam in the bottom. 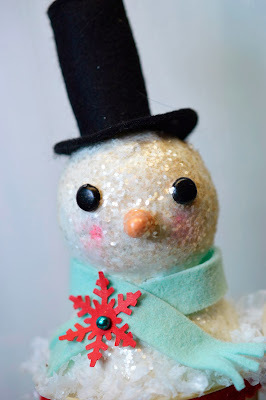 I found that wasn't quite enough for the snowman to stay right where I wanted, so I filled in with tissue paper. Now he's ready to decorate. To make his hat: Cut 2 circles (mine are 1" and 1 1/2"). 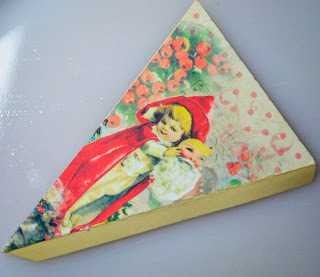 Cut a rectangle (mine is 1 1/2" tall by 2"). 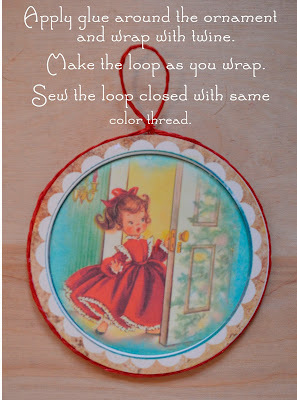 Roll the rectangle into a tube and glue the small circle on top and glue the bottom of the tube in the center of the larger circle. 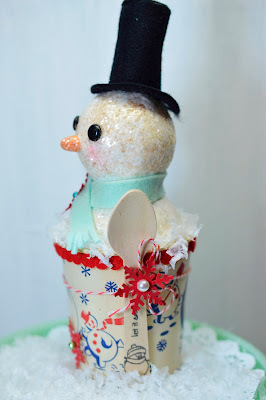 I just stamped the wooden spoon with a cute little snowman and "Let it snow." 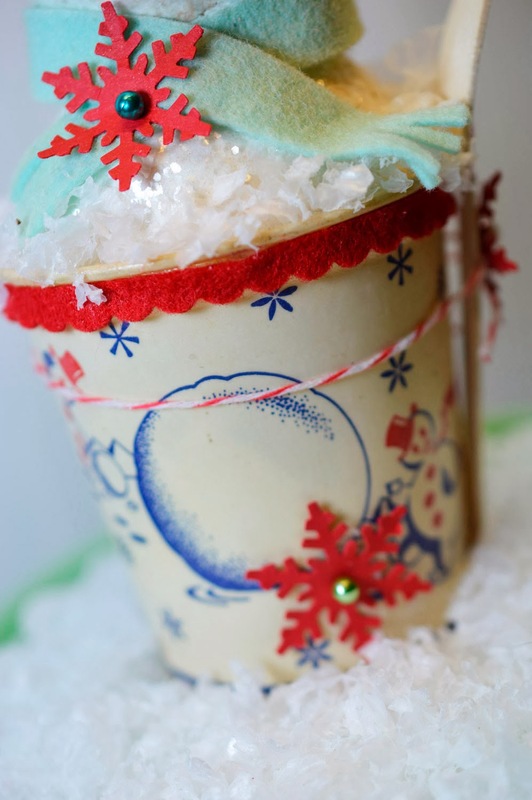 The cup is decorated, too. 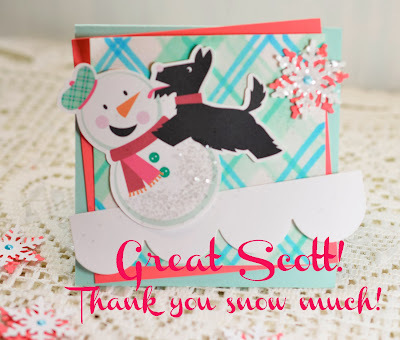 A little felt scallop and snowflake. I know that sounds like a lot. But, really, it is actually pretty easy! Even his backside is cute! Let me know in your comment that you would like to win. By random selection, I will pick one winner. Winner will be announced on Monday, December 23rd. I will ship after Christmas. Just think you'll have your first project for next Christmas! I know I've said it before but I just love little boxes. I swear if I had a choice between a huge box studded with diamonds and a tiny box like this one - I might just choose this one! Of course, I may be wishing for something pretty awesome inside! 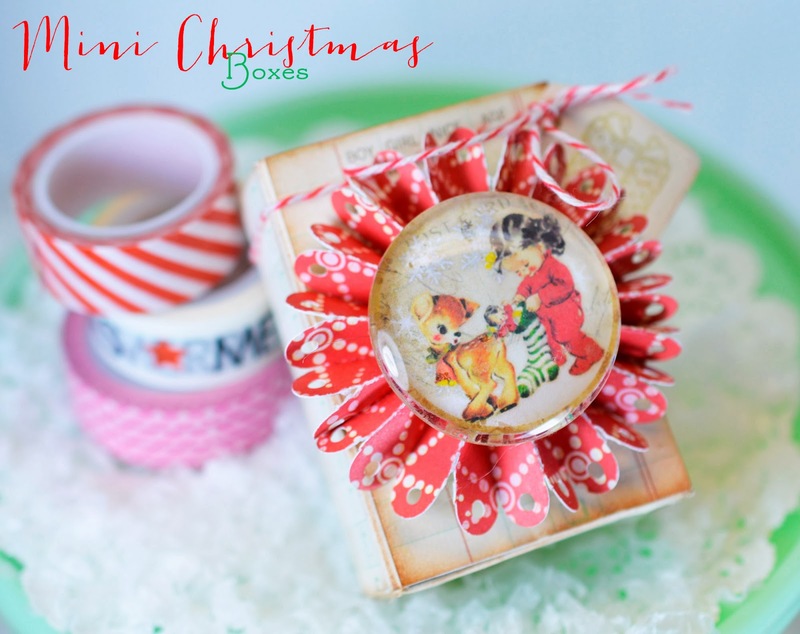 But, that's what's awesome about a really cute mini Christmas box - it's a treat on the outside before you even get to the gift on the inside! These are actually very easy to make. 1. 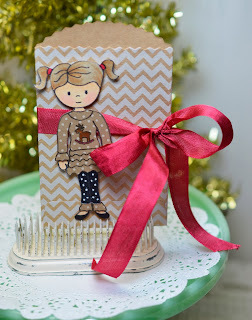 I used a simple box from Silhouette - you could even use a premade matchbox. I wanted it to be just a little wider than a standard matchbox. 2. 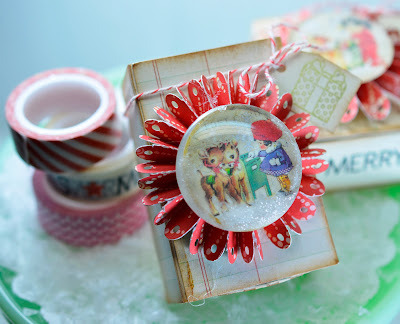 The rosette is created with 3D Dotted Rosette file. I find that the scores on this file make it much easier to fold than when I score it myself. I'm not sure why! 3. 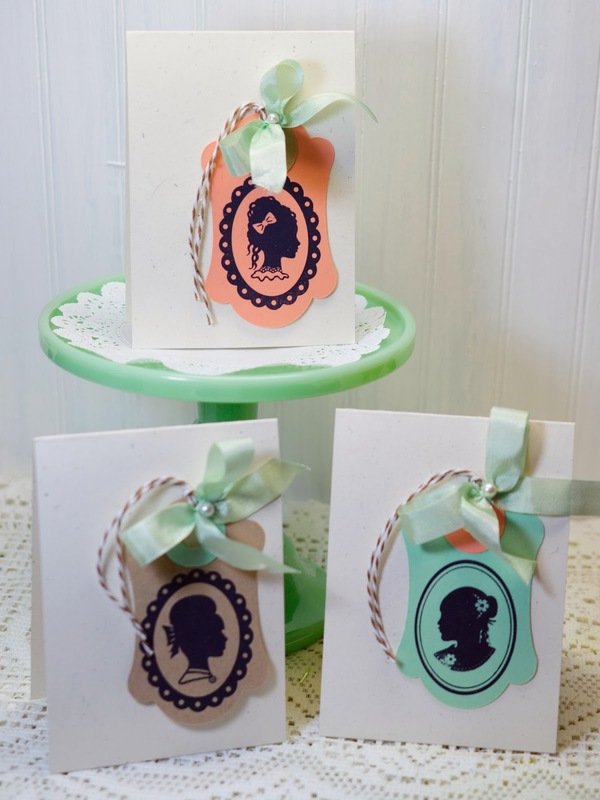 Print a cute image like the one above from by Digital Paper to the size of your flatback glass dome. Mine are 1 1/2" from Karen's Craft Supplies. 4, Cover the back of the dome with Diamond Glaze - a very thin coat. Press the image to the glass. Diamond Glaze is the best I've found for this application - it holds great and dries perfectly clear. 5. 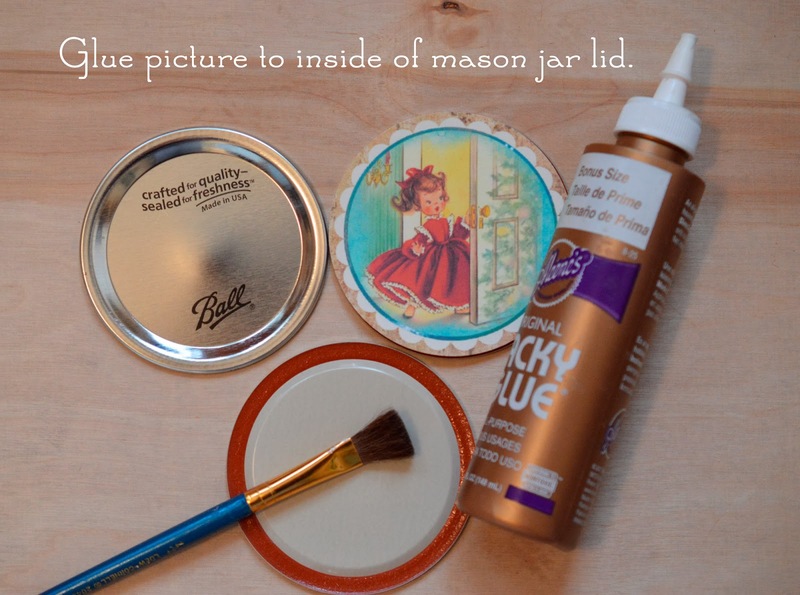 Use hot glue to attach the glass dome to the rosette and the rosette to the box. Wow! What a week! 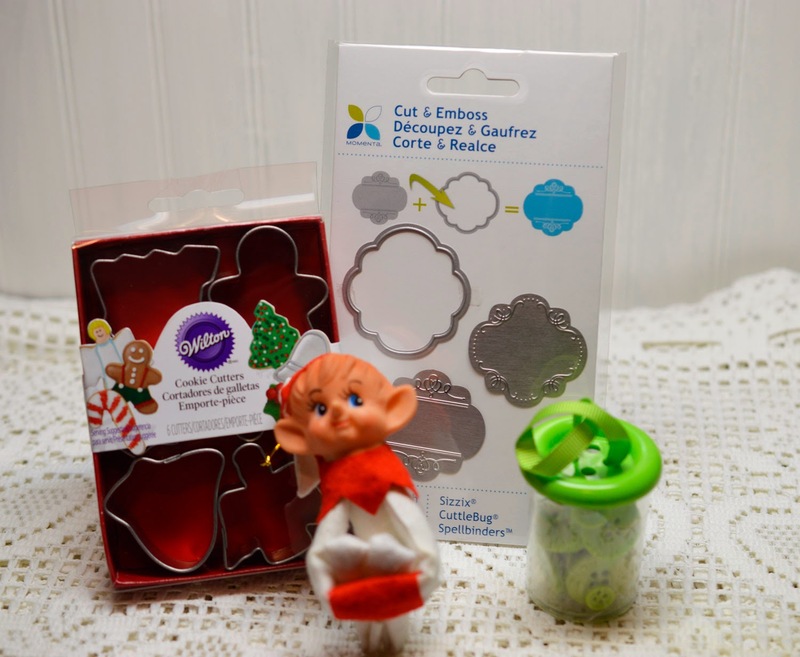 Awesome Christmas ideas and awesome giveaways! A VERY BIG THANK YOU to everyone who created, sponsored and commented! Before announcing the Day 5 winners and Lori's All-Week-Long Giveaway. 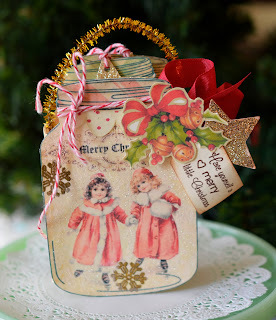 I would like to share one last set of cards using images from Nicecrane Designs. Love these sweet vintage elfin children caroling and the santa peeking around the corner. 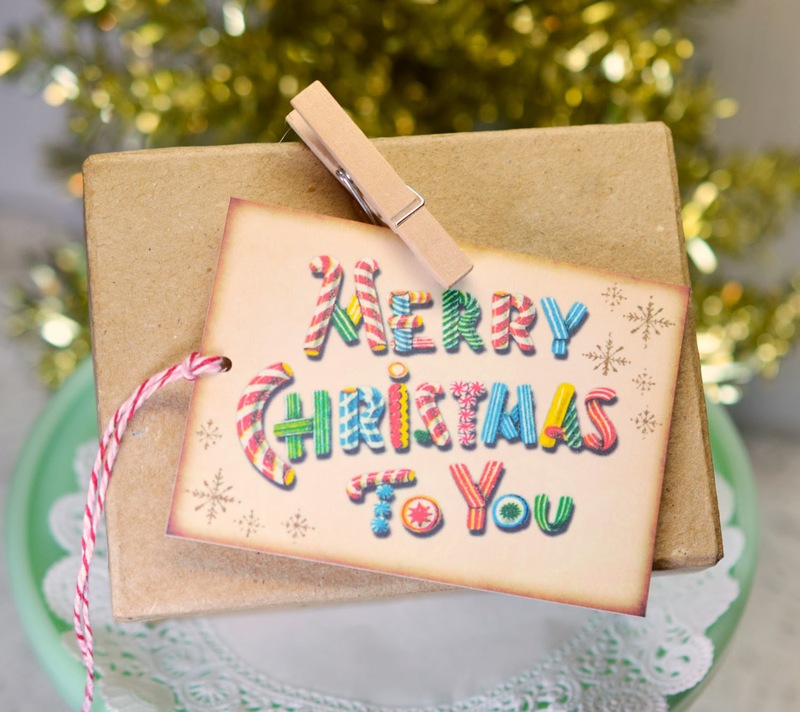 This image is from Children Christmas Greetings. 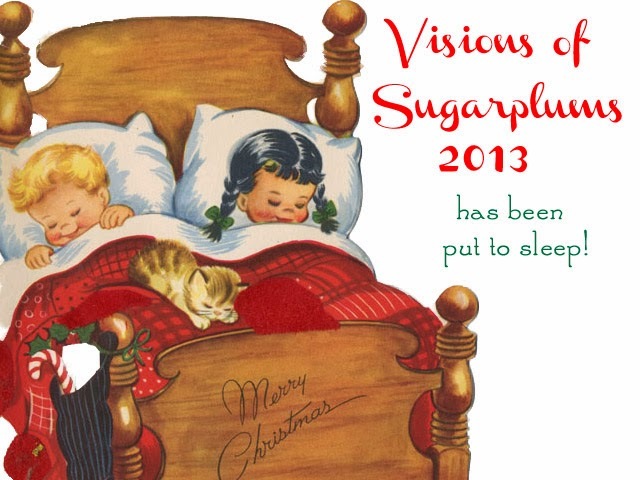 This one also features Santa watching children have a fun time at Christmas. This image is from Happy Christmas by Bowley. Winners: Be sure to email me (email in side bar) and I'll forward your info to our wonderful companies providing such awesome gifts! Thank you! 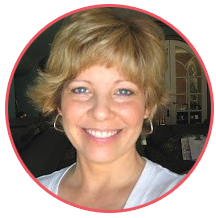 Karon - email me with your address. Thank you for coming by and have a wonderful rest of your weekend! You'll have to drop by here tomorrow (Saturday) to see Day 5 winners and the winner of the BIG GIVEAWAY! First up today are some very fun retro images from Graphic Market. You will love browsing through all the goodies! 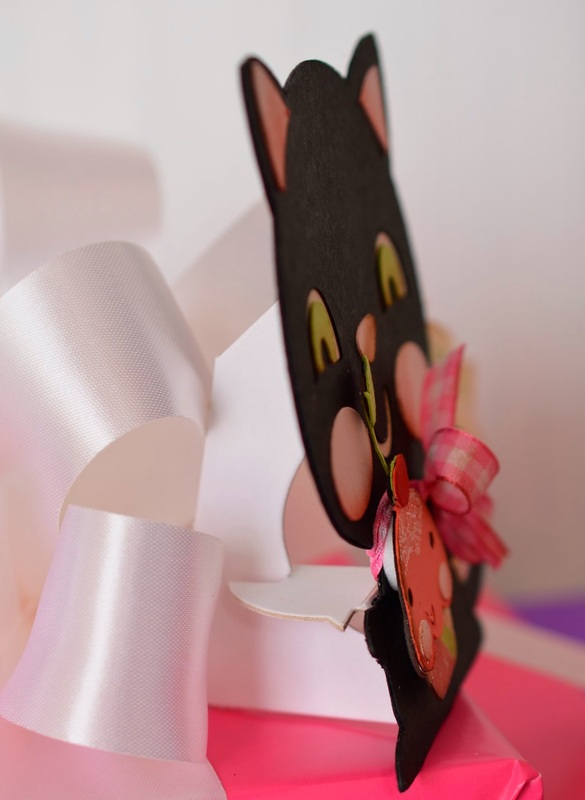 Don't you just love the colors and look of these images? 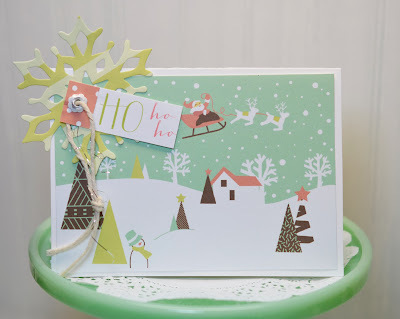 All I did was add a snowflake (the paper is also from Graphic Market) and make a couple of tags with twine. Love them! 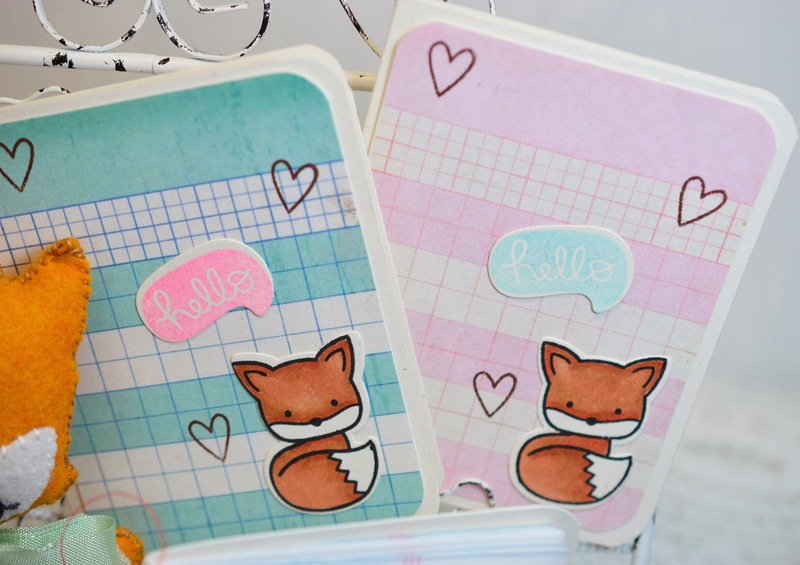 Graphic Market is giving one set of your choice! Just comment on this post and let me know you would like to win! 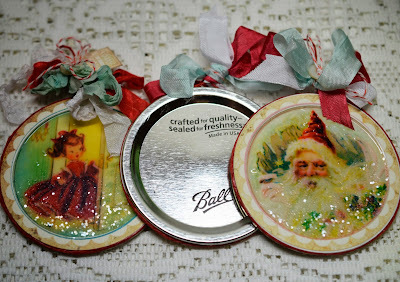 I've used gorgeous images from Janet's store Digital Paper to create some mason jar lid ornaments. I made several mason ring pumpkins and I had all the lids left over. So I was looking at some of Janet's goodies and saw these circles and it just clicked! I had these ornaments available at my last show and people just loved them! I've had to make quite a few more. They are a nice weight and are just lovely and shiny! Janet has several circle sets that would work perfectly for these ornaments. Size the circles to match the lid. Here you need to make a decision. 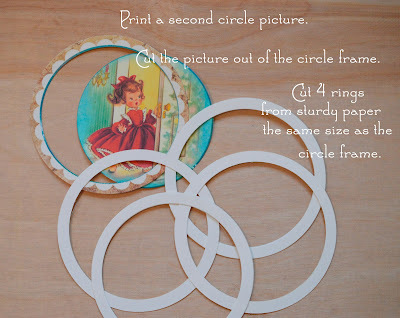 You could make shaker ornaments - just follow the directions for the shadowbox card from Visions of Sugarplums Day One. Or you can do glittery, shiny ones. Discard the image from the second image. 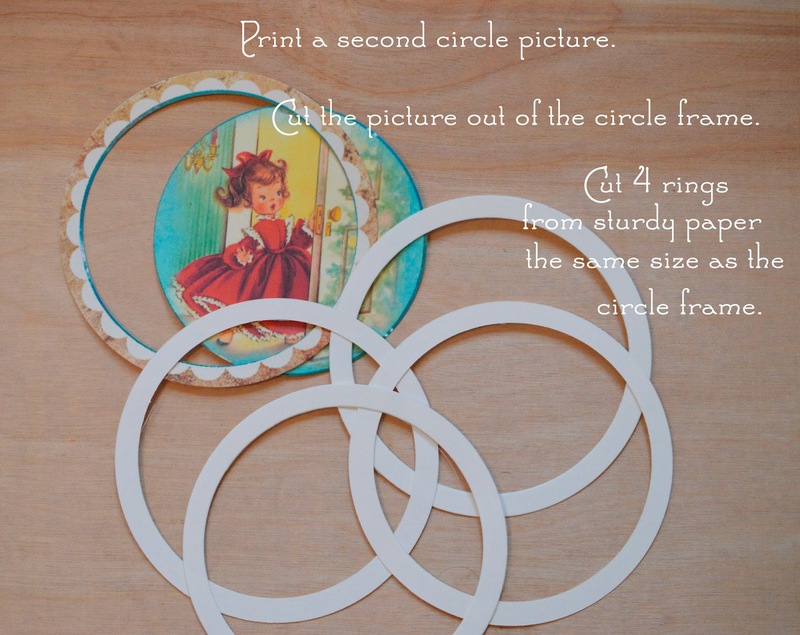 Stack the rings and glue. Glue the frame on top. Glue the whole stack on top of the image. Now you have a nice, thick base to create the ornament. You want the sides to look nice, so don't skip this part! 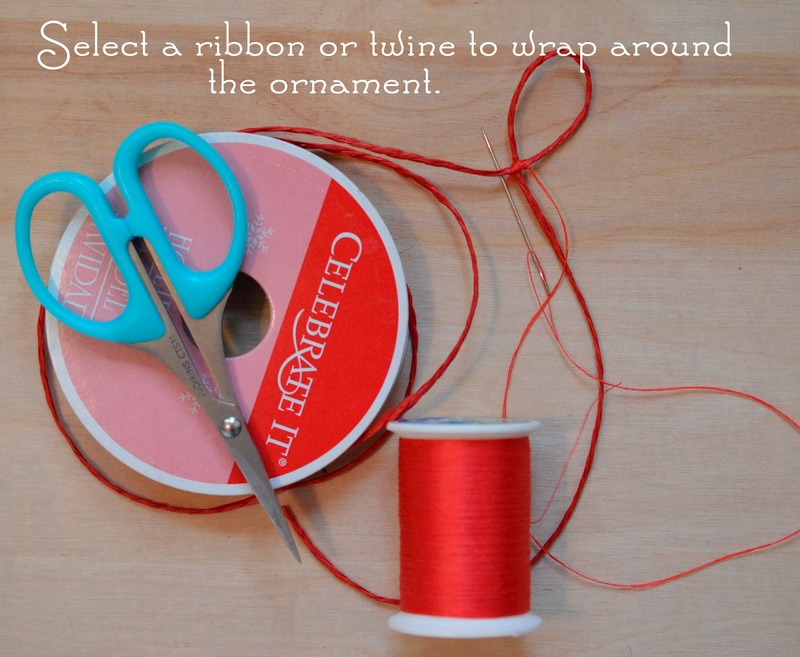 Plus it's a great way to add the hanger at the same time! Now you're ready to make it shiny. Fill the space you've created with the rings with Diamond Glaze and sprinkle with glitter. Let dry. Now decorate! Oh, so pretty! 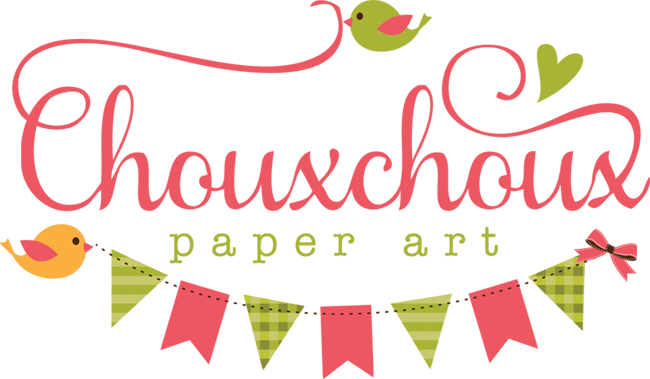 The winner will get one set of choice from Digital Paper! Just comment below for a chance to win! 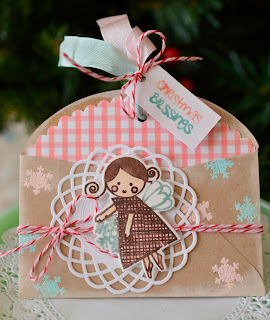 Debbie from Paper Sweeties of giving away a $10 certificate! Just say you want to win in your comment on this post! 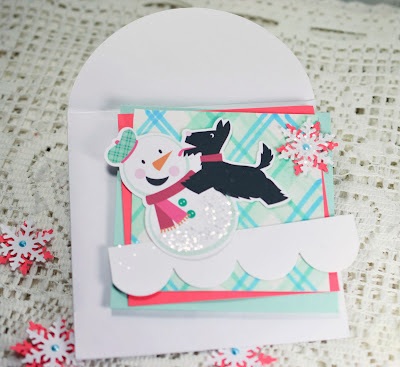 Nicecrane Designs has a $20 certificate just waiting for one lucky reader! Moonlighting by Mary is giving away a set of her gorgeous images. Let me know you want to win! I just love these silhouettes! 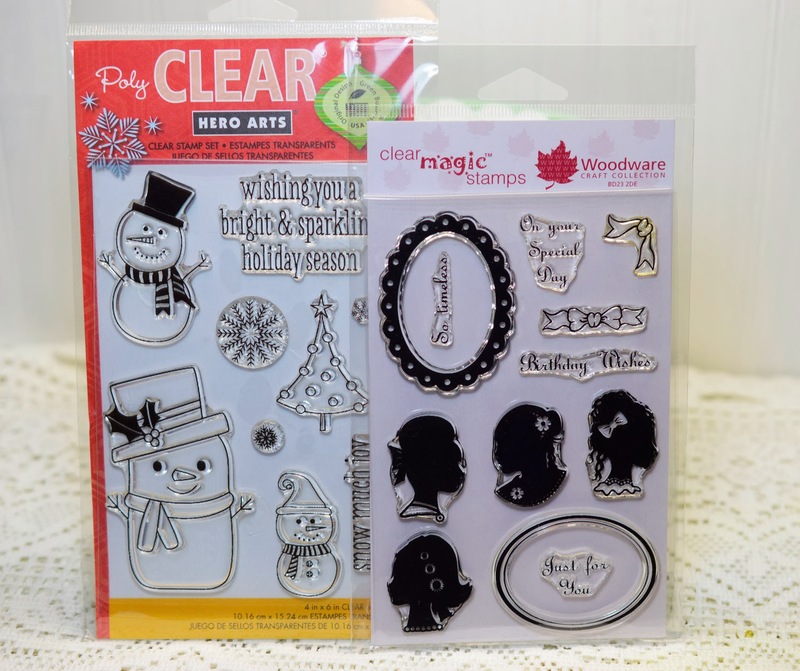 The stamp set is from a company in England. I'm not sure if they are available here or not. 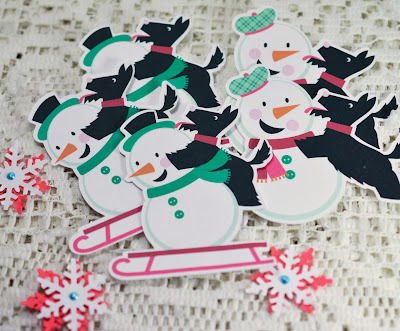 But I'm adding a set to my BIG GIVEAWAY! 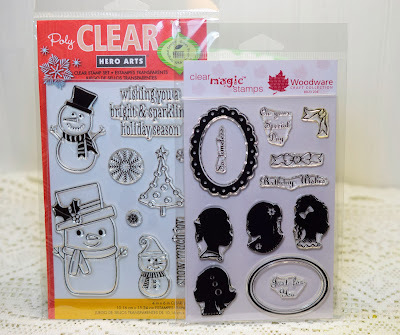 silhouette stamps and snowman stamps - added to all the previous days to make one big all-week-long giveaway! 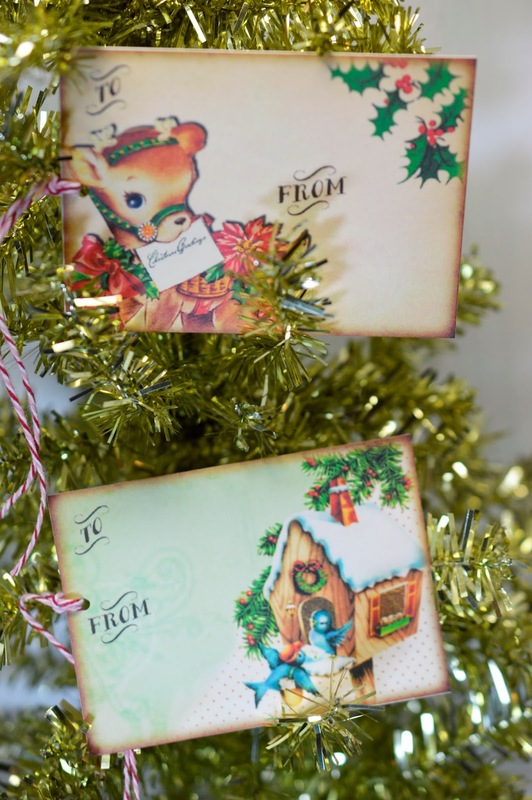 Important: You get your name entered for the day's giveaways every time you leave a comment. So visit each blog and leave a comment on each one. I'll check out the comments every day, so if you comment on 5 blogs, you have your name put in the drawing five times for that day. I keep a record over the whole week so if you comment each day on 5 blogs, you have your name in my BIG All-Week-Long giveaway 25 times. 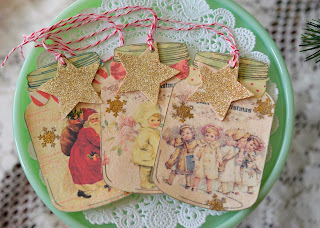 First up today, I promised some more CUTE images from Vintage Remix. In case you missed the first ones, you can see the them in the Day One post made into pin back buttons. These Christmas tags have CUTE written all over them! Talk about an easy, no fuss way to add awesomeness to your packaging. 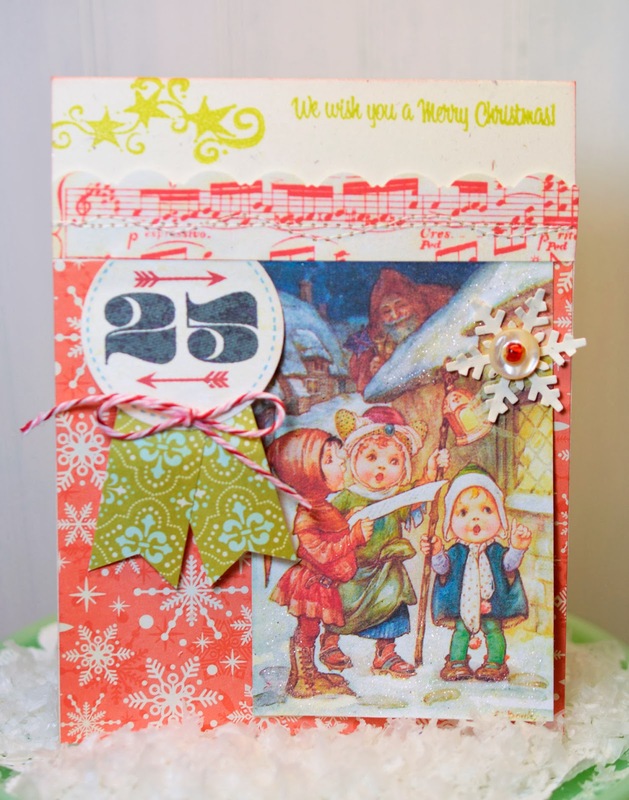 Laura from Vintage Remix is offering the winner two digital sets of choice! Just comment on this post that you would like to win. To make this cone, simply print out the set. 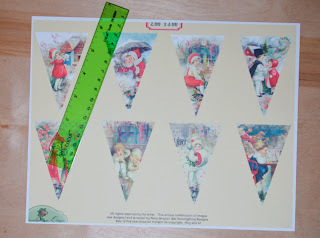 You will need 3 images to make a cone. To each image you want to add a little extra - about 1/4" - to one side. All three must have the extra bit added to the same side (all to the right or all to the left) to go together properly. You are creating a tab to connect them together. Let me show a close up of one pennant so that you can see the tab. TIP: The bottom of the tab should angle up and the top of the tab should angle down. Score along the edge of the image where you added the tab. Then you simply glue all three together by the tabs. 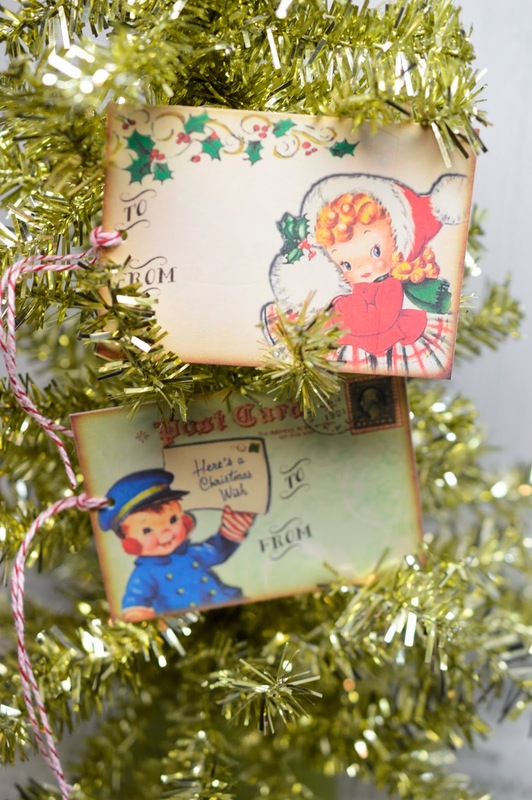 If you want to add a bell or a bauble to the bottom, do it before gluing them together. For the bell, I used thread and then taped the thread into the fold of the front image. Mary from Moolighting by Mary is offering a set of choice to the winner! 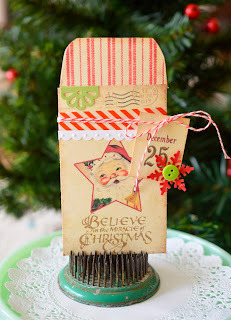 It's the final day of the Paper Sweeties December Release. I made some shrinky charms with two of my favorite Paper Sweeties Christmas images. 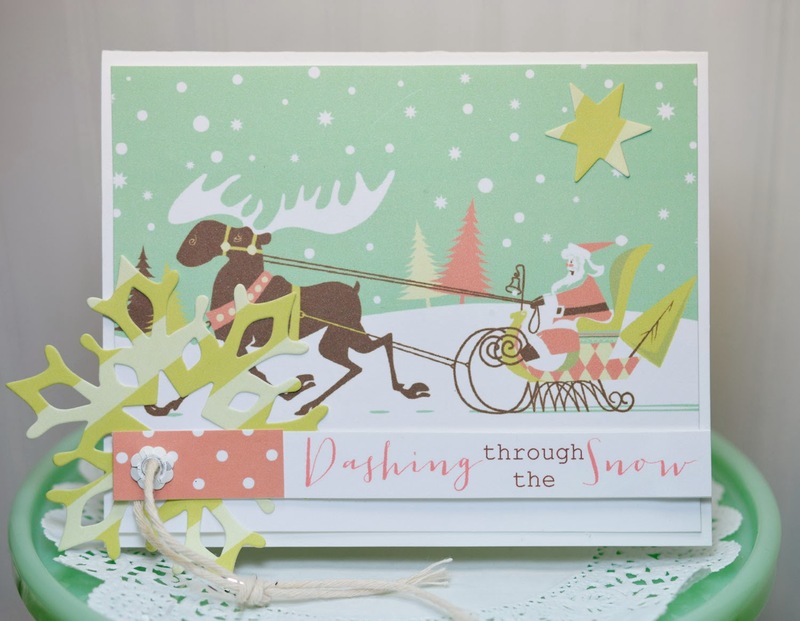 The angel from Make the Season Bright and the reindeer from Homespun Holidays. Here you can see the dies for the size they started out in comparison to how small they become. 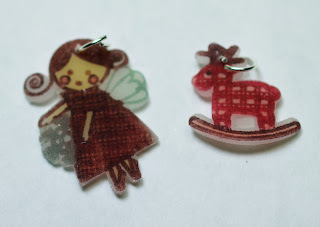 These are the sweetest charms ever and I'm certainly going to be making some more! 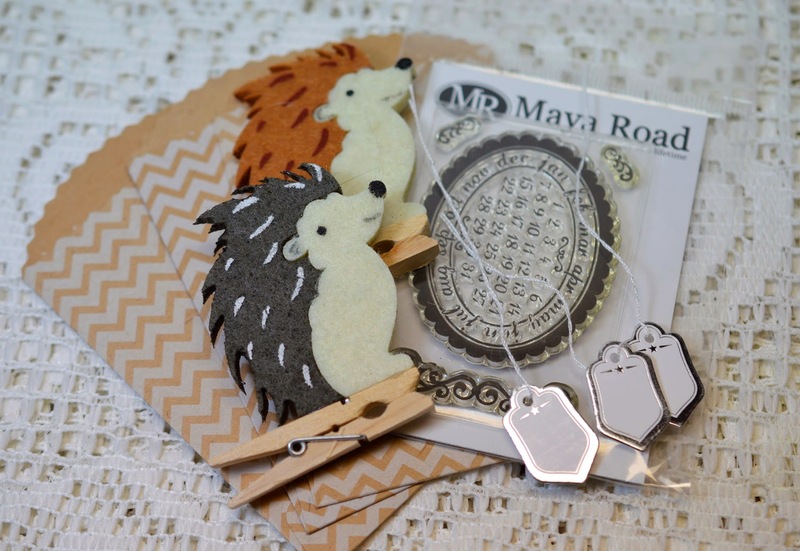 Such cute charms also need cute packaging, right? I dolled up Emma with the latest Paper Sweeties outfit (from Have a Holly Jolly Holiday) - notice that she is wearing the reindeer on her shirt. Just popped her onto a kraft mini bag with some red seam binding ribbon and it's good to go! Have you noticed that foxes are really in? 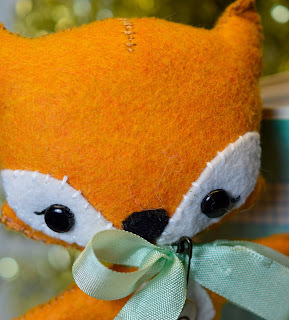 I've put together a couple of fox things that would make great Christmas presents. This cutie is from Gingermelon. You will find the cutest felt creation patterns you have ever seen in Shelly's shop. You will be in cute overload! I love to visit and I wish I had all the time in the world to make every single cutie available! 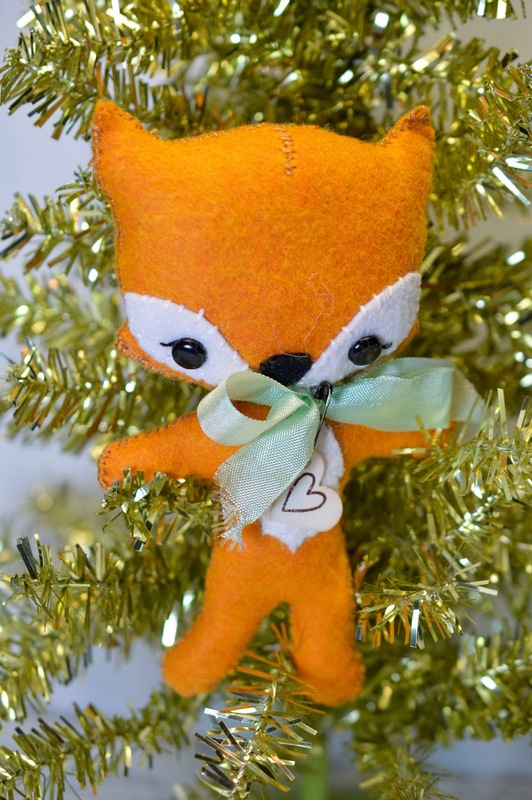 This is Tag-Along Fox. 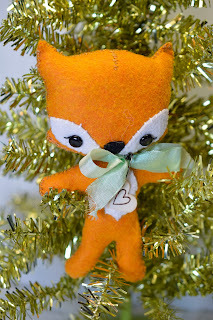 Shelly from Gingermelon is giving away a free pattern for her new Gingerfolk! Just let me know you want to win! I'm thinking a complete set of Fox-y things. 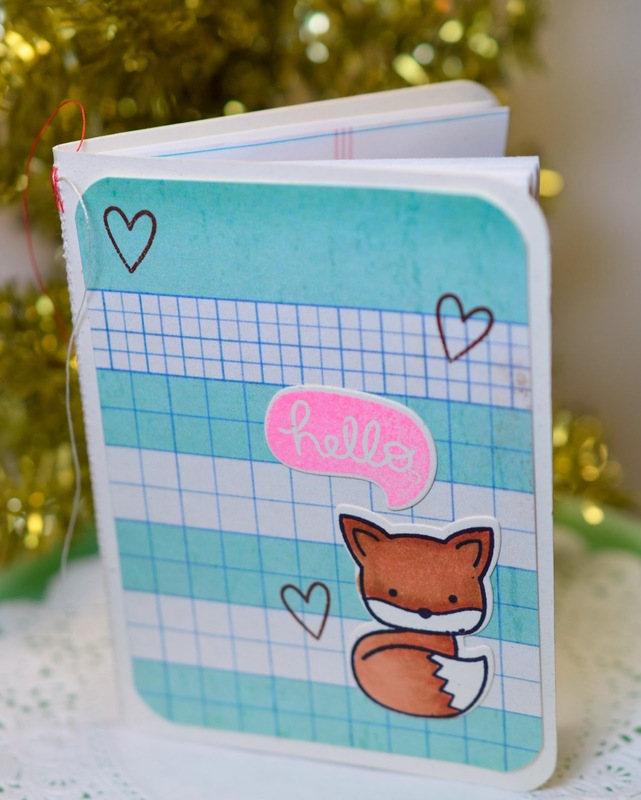 How about a mini journal and note cards? 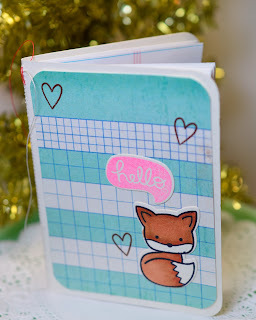 Don't you just love this sweet little fox? He is a stamp from Into the Woods from Lawn Fawn. 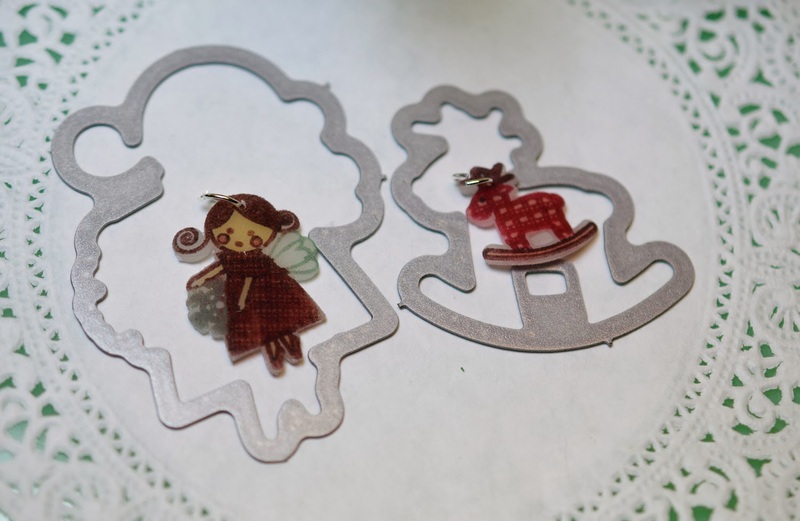 I can't wait to get a little time to play a little more with him - wouldn't he be cute as a shrinky charm? 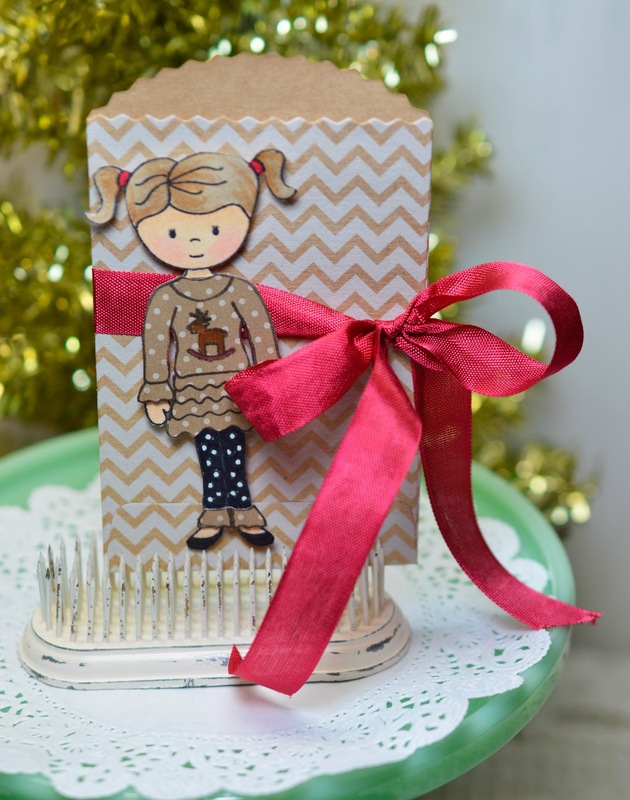 Lawn Fawn is giving away Into the Woods to one lucky winner! Just for Fun! What Does The Fox Say? Keep an open mind - it's a little weird, but fun! 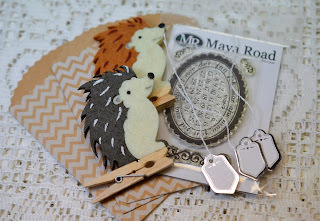 kraft bags, calendar stamp, mini silver trimmed tags, two clothespin porcupines - added to Monday, Tuesday, and Wednesday items. See you tomorrow for the last day of Visions of Sugarplums! The first couple of projects up today feature lovely images from Iralamija shop. I love visiting Beaty's shop - there is always something I want! 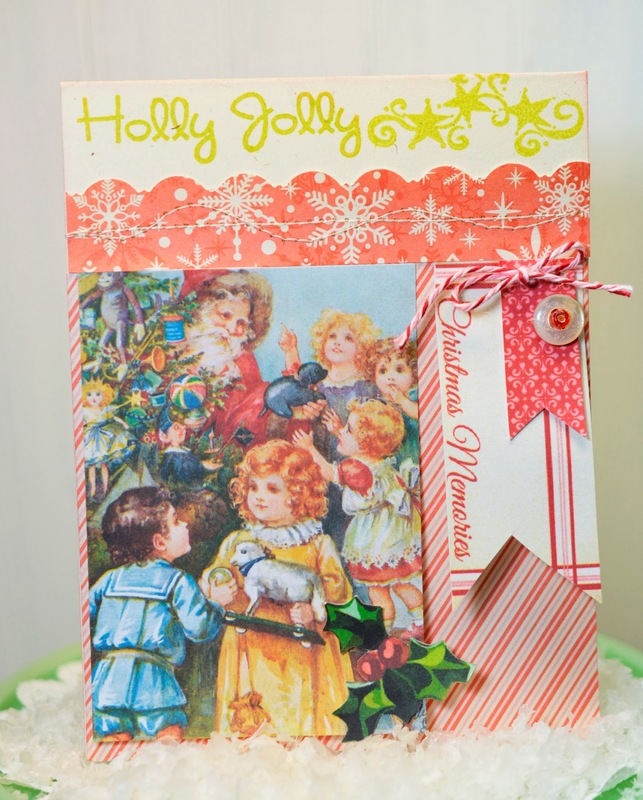 This box is made with images from Christmas Jar Collage. 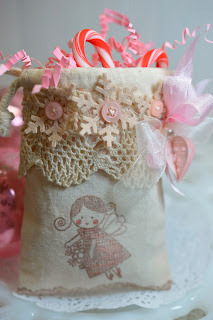 I also made some tags using those oh, so pretty jars. I printed the jars I used for the box a little larger to make sure there was room for the tags. 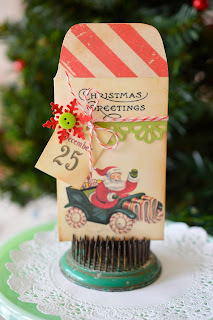 How about these vintage image Santa Christmas envelopes? So very easy to put together - perfect for a gift card or little treat! 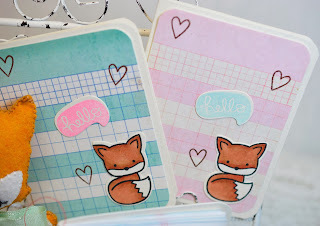 Beatrice from Iralamija Shop is offering a lucky reader one set of your choice! Just comment on this post for a chance to win. This is the third day of the new December Release at Paper Sweeties. I heat embossed the snowflakes from Thanks Snow Much. The sentiment is from Homespun Holidays. I think I'm going to use this to write a special note to someone special. You know, the kind of note that you keep and love coming across in later years. I LOVE this little angel! I just think she's adorable. You may remember her from the muslin bag I posted earlier. She is from Make the Season Bright. 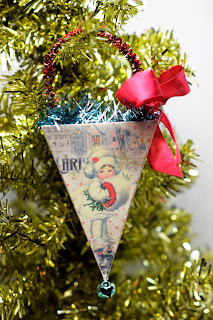 Visit the Paper Sweeties Blog to see more ideas for Christmas stamps! Moonlighting by Mary is giving away a set of her gorgeous images! 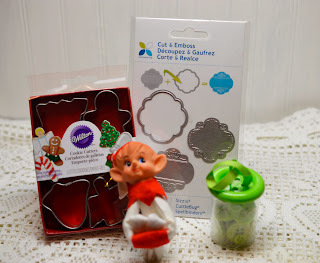 Cut and emboss die set, mini cookie cutters, green buttons, vintage elf - all added to Monday and Tuesday's items!